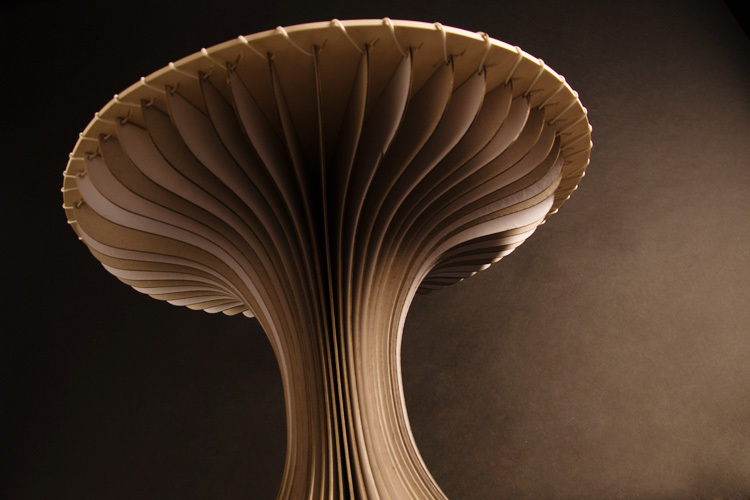 This lightweight side table is inspired on the lamellae of a mushroom. These lamellae support the cap of the mushroom and gives the entire fungus a solid structure and resilience. 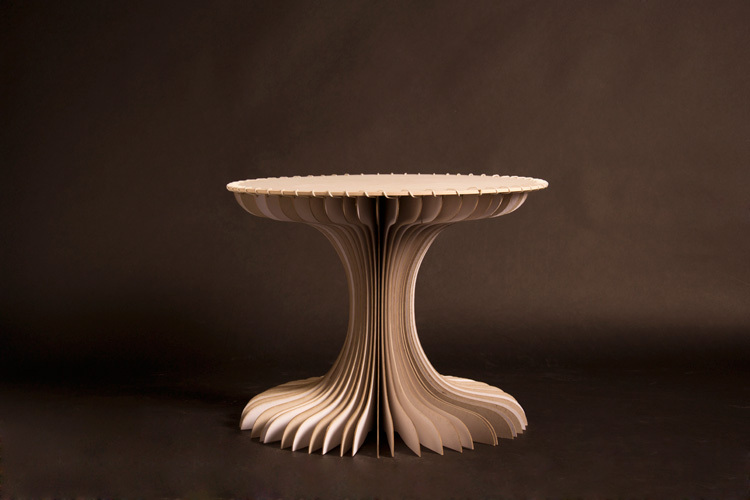 The amount of of mushroom lamellae were translated to the side table, having 57 legs made from 2mm cardboard. All legs are laser cut to create a perfect homogenous form, being the core of the structure and its stability. Birch wood was used as a table top, which was sewn to the lamellae by using a soft glossy synthetical wire. To retain stability a cylinder was placed at the centre of the structure, to which the lamellae were also sewn. No glues or other adhesives were used.